Registration: $25.00; Dealer tables $50.00, after 8/1/19 $60.00. Note the change in schedule! Friday, September 20, 2019: Dealer Set Up 4:00PM – 9:00PM; Saturday, September 21, 2019: Dealer Set Up 7:30AM – 9:00AM; Show Open 9:00AM – 5:00PM; Sunday, September 22, 2019: Show Open 9:00AM– 2:00PM. 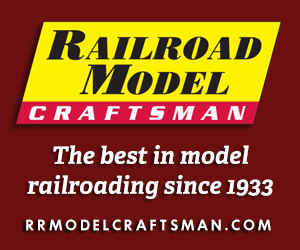 This is a dedicated 2 rail O Scale and S Scale show. Info: Contact info@oscalemidwest or call 815-584-1577. 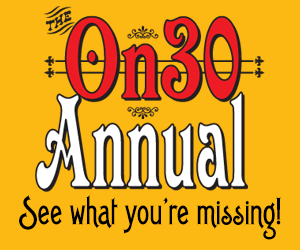 Cleveland O Scale Meet – our 37th annual show, 9AM to 2PM at the UAW Hall, 5615 Chevrolet Blvd, Parma, Ohio 44130. Admission: $6, free parking, large facility. Dealer load in Friday, Nov 1st 1PM – 4PM. Contact Sam Shumaker 440.248.3055, email J3a5436@gmail.com. Please note new show times.